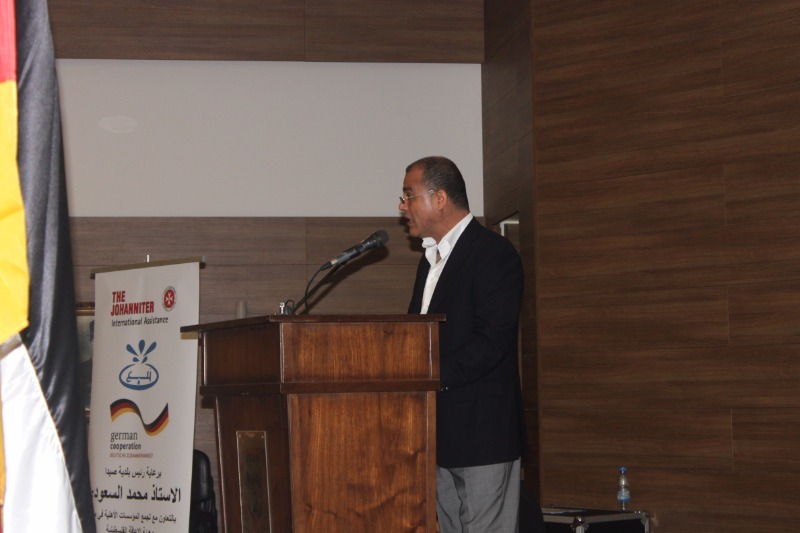 Within events of the project under the title of wider spaces wider opportunities which is being implemented by Developmental Action without Borders / Naba’a in partnership with Johanniter international – Germany, funded by the federal ministry for economic cooperation and development, a special conference on the rights of persons with disabilities in integration, employment and work has been implemented. 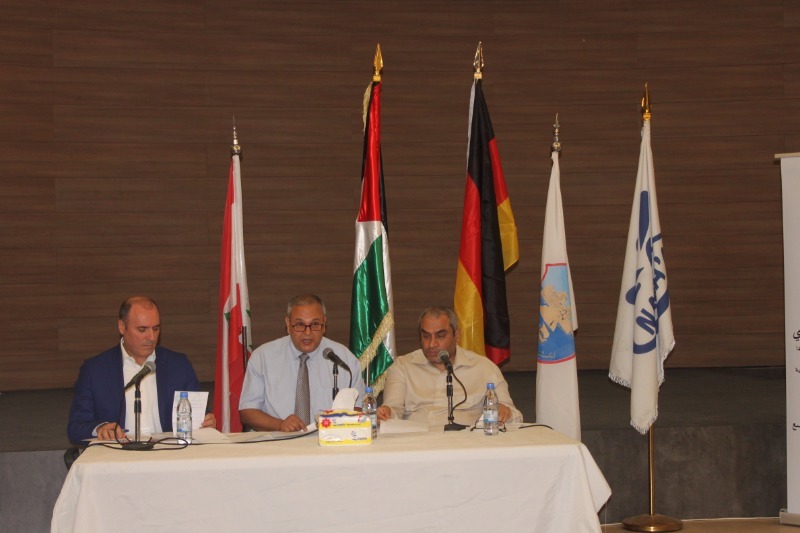 Under the patronage of Mr. Mohammad Al Saoudi the mayor of municipality in Saida in cooperation with NGO’s Platform of Saida, Palestinian disability forum (PDF), alliance of associations and organizations , as well as popular and non- governmental committees in the project. 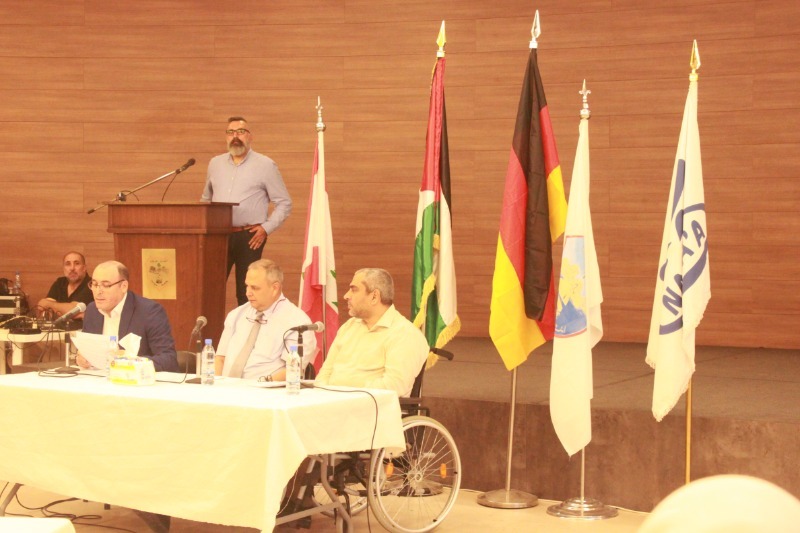 The conference was attended by a large number of local associations concerned with disability in addition to international organizations, municipalities and popular and non- governmental committees. 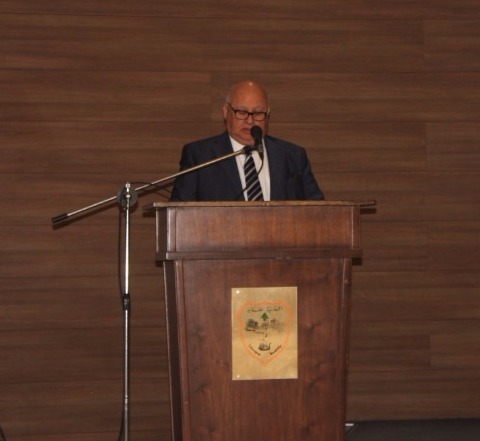 The conference was started by the sponsor of the conference Mr. Mohammad Al Saoudi where he welcomed all the attendees as well as he highlighted that Muslim Societies were at the forefront of equality among all citizens belonging to them. As well as every citizen was delegated to do specified tasks which suited his or her abilities and needs. The Scientific classification of some people as special needs, it is never derogation in their humanity, but on the contrary, it is an examination of us in our humanity. As well as we shouldn’t make their personal circumstances as an obstacle in front of them in which it prevent them from being an active members in society. 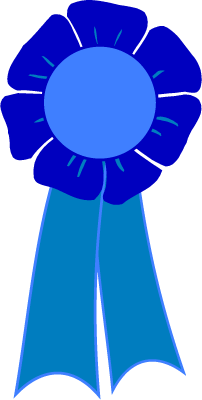 So that the experience proved that many of them are not only qualified, but in fact they are distinct in their areas of specialization and they outperform their competitors and if we don’t give a chance for this segment in our society, it will be a loss on the economic and productive level. And the most important thing above all, is our loss in the test of humanity. and they can also make a difference in their communities. So what do you think about the refugee community where young people suffer from weakness and marginalization and the lack of real employment opportunities! Which allow the young people to feel the importance of being an active and productive person. Besides that, the dual size of obstacles and challenges if there is a disability. 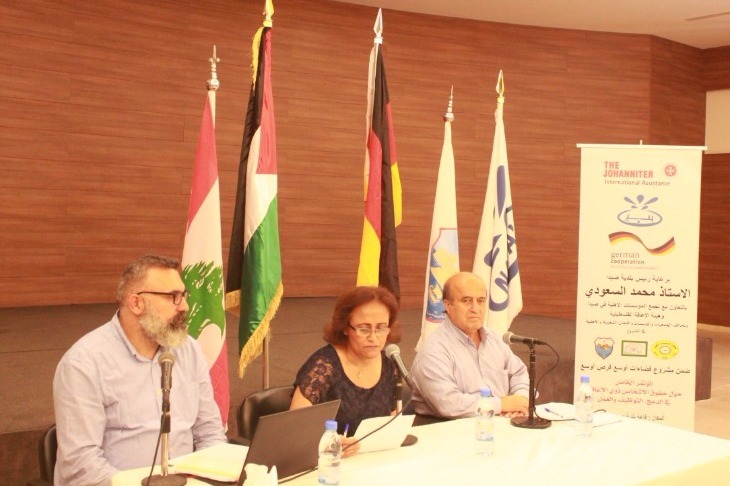 Since the launch of wider spaces wider opportunities project Developmental Action without Borders / Naba’a and its partner Johanniter international – Germany seeks to consider youth as a reliable partner in the development process. The project aims to improve economic and social participation on the basis of integration and non-discrimination. There are successes in finding job opportunities for young graduates in the project, but they are still in dire need of support and advocacy form all. The beneficiaries of the project during the past two years are 540 young men and women from the Palestinian camps (Al Bus, Al rashidieh, Ein El Helwe) including 270 persons with disabilities, 120 young men and women were participating in the vocational training, 50% of them are persons with disabilities. 420 young men and women with disabilities and others participate in recreational activities as well as, families of the beneficiaries, community associations, vocational training centers and employment offices. The speech of Johanniter international – Germany was represented by Anita Mueller, she thanked Developmental Action without Borders / Naba’a for its efforts and all those who contributed to the success of wider spaces wider opportunities project, she hope that we to took a step forward or at least learned from this experience in order to activate the role of Youth in the community. The situation of persons with disabilities inside and outside the Palestinian camps. Disability and work as well as the historical perspective on the employment of people with disabilities. The rights of persons with disabilities in employment and work and their role in the economic cycle. Policies and practices related to persons with disabilities. 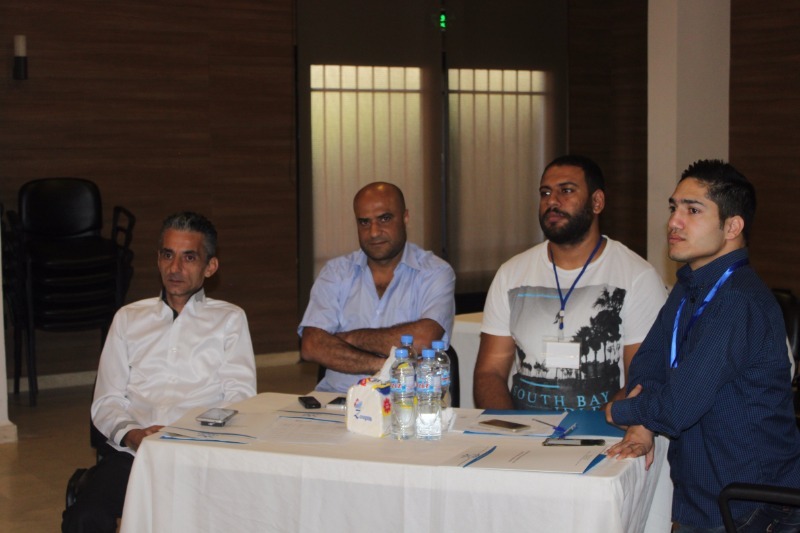 Success stories and lessons learned of the Municipality of Saida in working with persons with disabilities. Unrwa roles and experience in the domain of integration. Implementation of a program which dealing with social affairs where a special program is dedicated to disability and there must be specialists to care for persons with disabilities. Sustainability of projects related to the affairs of persons with disabilities because they are in urgent need of ongoing support within and outside society. · Conducting an awareness campaigns for parents who have disabled children in order to sensitize them for the rights of their children as well as their psychological and moral needs. · Continuous of vocational training for people with disability in order to develop them and in order to be active members in society. Provide job opportunities for people with disabilities according to their different abilities for a more luxurious life. 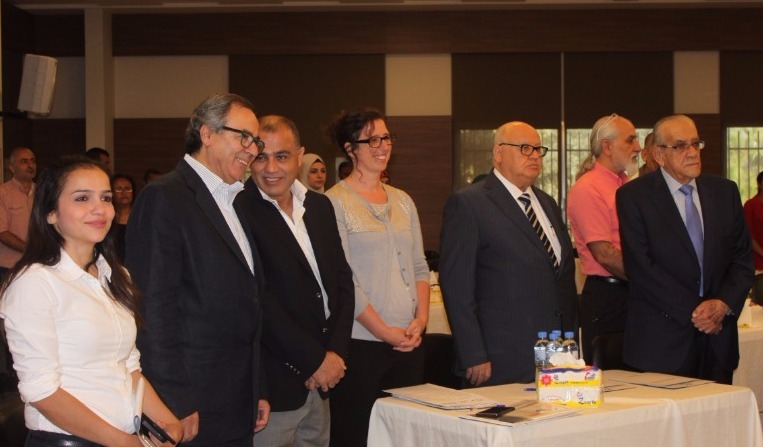 Establishment of an independent forum which include the Lebanese government, the Palestinian Authority and UNRWA, where it works for the benefit of persons with disabilities and their needs. Opening small projects for persons with disabilities that provide them with employment opportunities. Force the Lebanese state to ratify the Convention on the Rights of Persons with Disabilities. 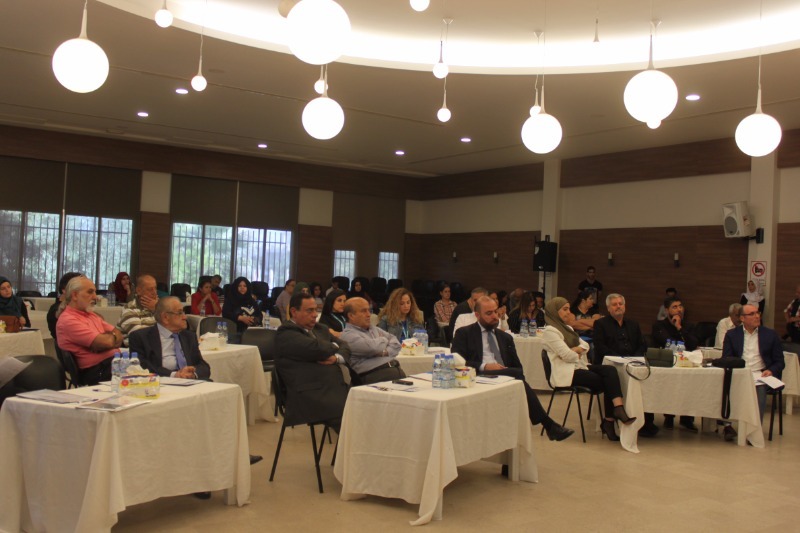 Working on forcing the Lebanese state to include Palestinian disabled persons with the privileges of Law 220/2000 on the rights of persons with disabilities.